In this guide, we have explained how to remove Mi account from Redmi 4A and all other Xiaomi devices. Mi account is provided by Xiaomi to their all devices. Xiaomi has its own services like Syncing Data With Mi Cloud, Phone Finder Service, Phone Lock, MI Flash Sales Offers, Mi F Codes, Mi Games, Mi Themes, etc. It is not necessary that all users use these features. So most of the peoples want to remove Mi account to lower some burden on internal storage and RAM. 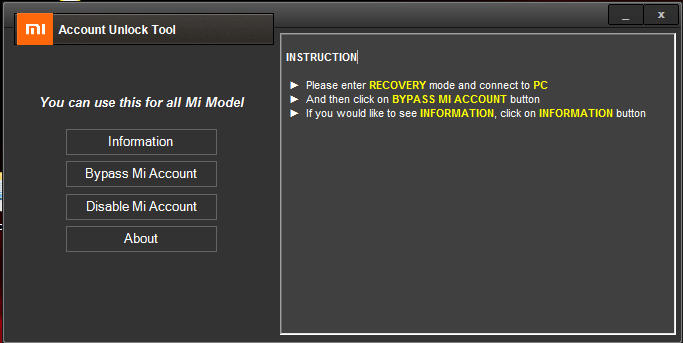 There is a simple answer to how to remove Mi account, that is using Mi account unlock tools. there are 3 tools posted below. you need to check whether this tool supports your device or not. If one the devices from below list are supported, then follow their respective guide. 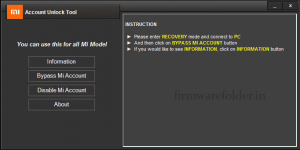 I hope you like this article on how to remove Mi account from Mi 4A and all other Xiaomi phones. visit again for more such mobile-related problems/solutions.